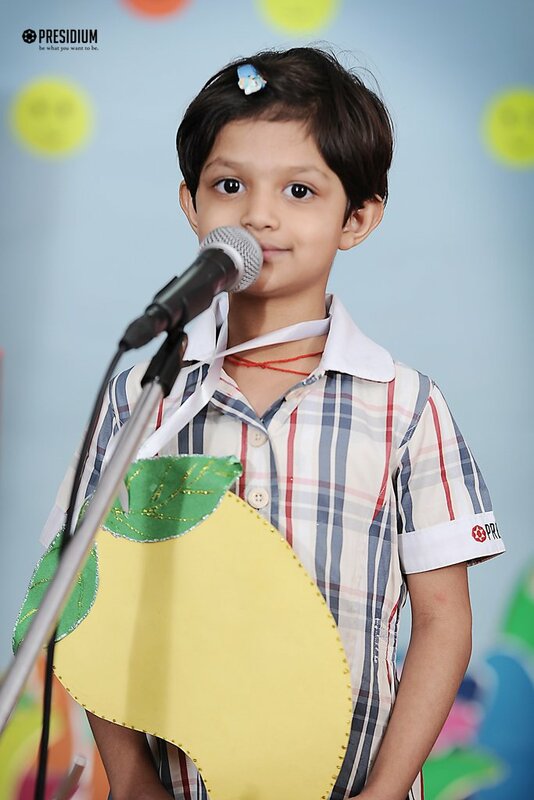 To be humble in our confidence yet courageous in our character is very important and we at Noble High understand this. 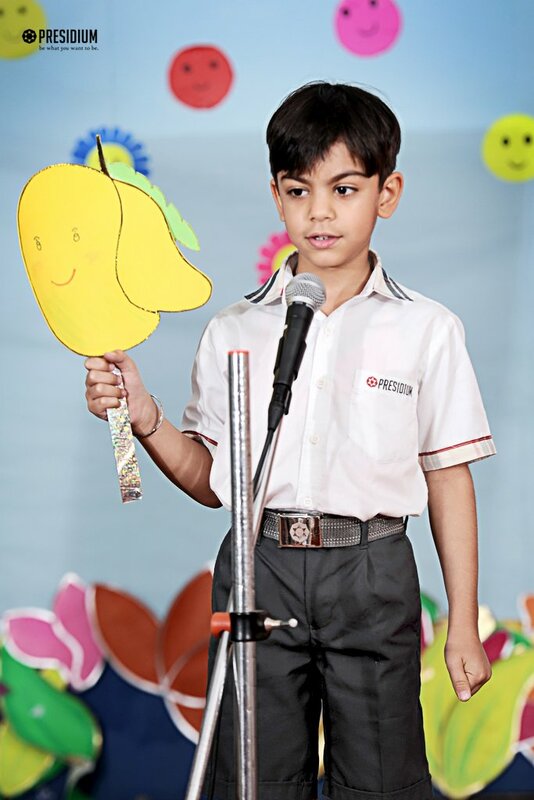 This is why, a 'Show & Tell on Fruits' activity was recently organized at Presidium, Faridabad for grade 1 students. 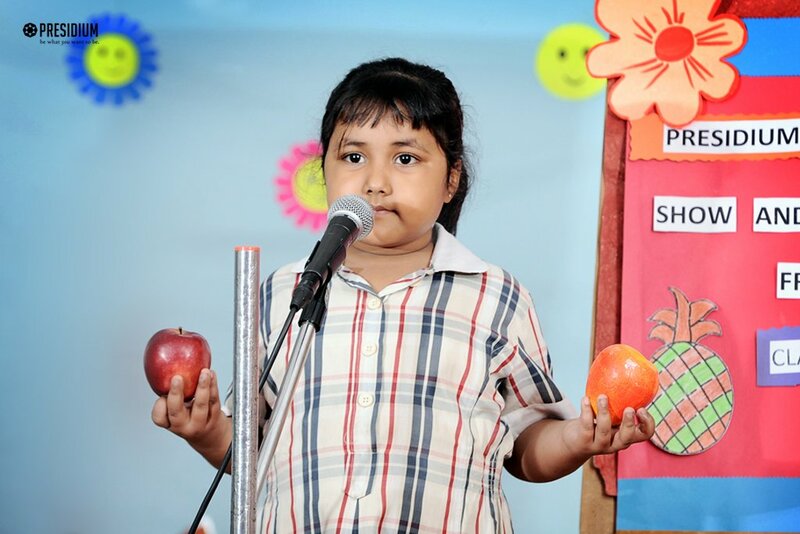 The little Presidians brought theme-related props like toys, flash cards and real fruits of their own choice and spoke few lines on the same. 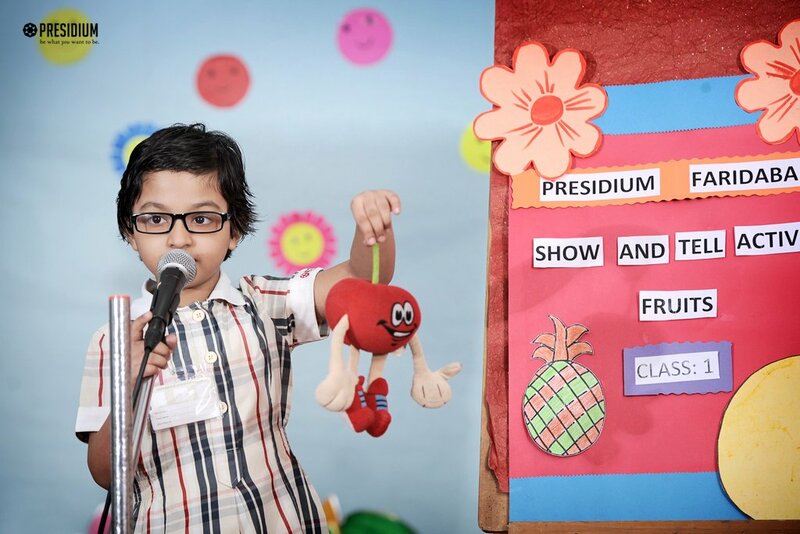 This exciting activity enabled the kids to showcase their lingual talent with full pride and confidence in front of their teachers and friends. 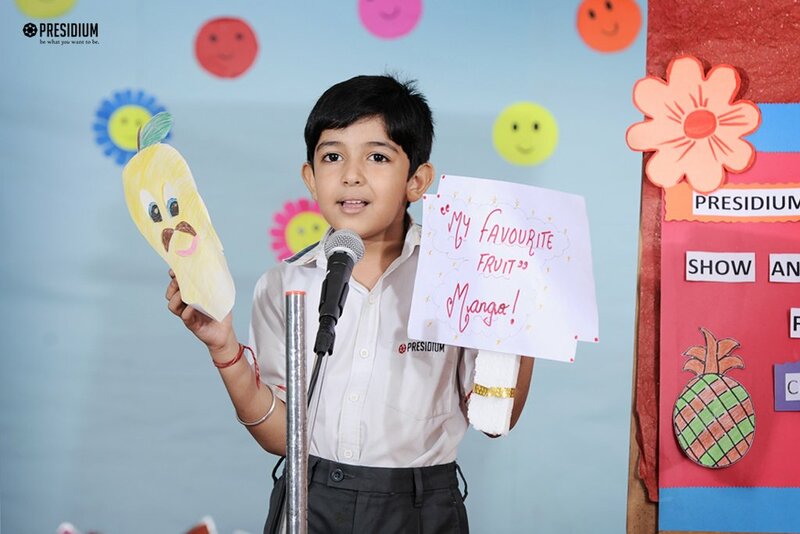 Highlighting the importance of fruits for a healthy lifestyle, the fun-filled activity also offered a good stage exposure and an opportunity to articulate the thoughts to our excited students.